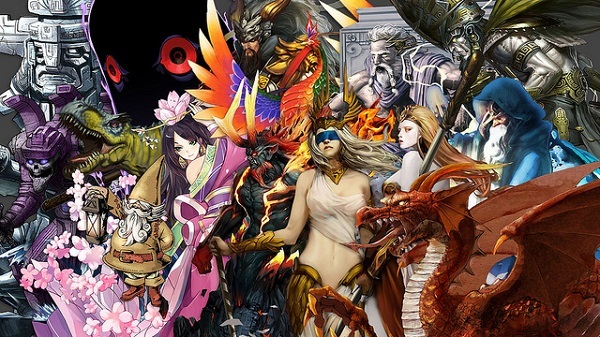 Destiny of Spirits, the creature-catching game from the fine folks at Q? Entertainment, is finally set to launch on the PlayStation Vita, hitting Sony's handheld console on March 25. Finally arriving in just a couple of weeks, Destiny of Spirtis is an ambitious, light battle game that sees players working with friends (both old and new) in order to fight against the powers of darkness. In order to do that, you're going to need to capture hundreds of legendary spirit, trade them with your online pals, combine them into even more powerful forms and go toe-to-toe with enemy monsters in a turn-based battle arena to help determine the fate of the world. SCEA Producer Kumi Yuasa said that the March 25 launch date is for the North America region, with others to follow quickly after. That's an important note, as players will be able to get friendly with their fellow players from around the world and trade creatures back and forth. Certain creatures can only be captured in certain regions, so the only way to (if you'll pardon the expression) catch 'em all is to play nice with folks living all over the world. The main division of regions are North America, Europe and Japan, each of which have their own sets of unique spirits to collect plucked straight from their region's lore. Valkyries, Oni and chupacabra will all battle side by side, each with their own unique set of abilities and attributes. I got to take part in the DoS beta last year and, once I got the hang of the system and spent a few days playing, I could feel its hooks beginning to sink in. It's a game meant to be played for a little while each day rather than in multi-hour chunks, allowing players to help fight the darkness in their own region on a regular basis. Improvements have apparently been made since the beta, including reduced load times, increased spirit levels and capacity so you can have more, and more powerful, allies, and a bunch of tweaks to the game system. It's a free-to-play romp, so you might want to consider giving Destiny of Spirits at least a cursory glance when it arrives on the PlayStation Vita March 25th.